Nvidia has announced that 10-series and 16-series graphics cards will support real-time ray tracing, via Microsoft’s DirectX Raytracing (DXR) API, from April. Following an Nvidia driver update, every Pascal and Turing GPU, from the GTX 1060 6GB and up, will support the “holy grail” of computer graphics. And that’s regardless of whether they have RT cores embedded in their graphics silicon or not. Nvidia’s latest graphics card generation, codenamed Turing, brought with it new silicon to gamers in the form of RT Cores and Tensor Cores, along with new branding to reflect the change: RTX. This denotes its RTX 20-series family of cards, headlined by the RTX 2080 Ti, are capable of real-time ray tracing, while all GTX cards were excluded. That was until Nvidia decided to unleash real-time ray tracing unto most of the mid- and upper-tier 10-series and 16-series graphics cards with one fell swoop of its graphics driver code. 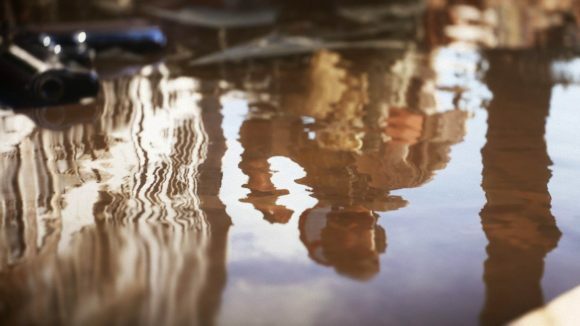 There are still only two titles with ray tracing as of right now, Battlefield V and Metro: Exodus. However, Nvidia has said that Shadow of the Tomb Raider support is coming “very soon”, alongside a growing number of APIs and game engines. 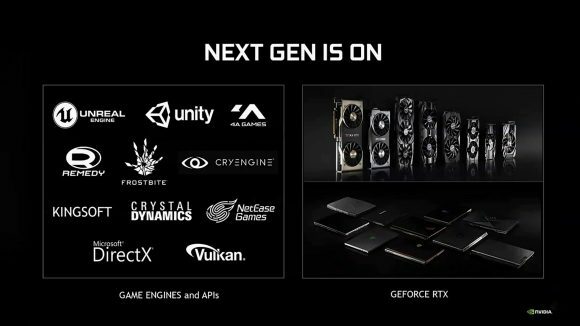 “We are going to be, in April, releasing a driver that will enable DXR across a much wider range of GPUs,” Justin Walker, director of GeForce desktop told us earlier today, “including Pascal GTX, Turing GTX, on top of the already released Turing RTX. But while that’s all well and good, we’re still not entirely sure what will happen in-game when that driver package arrives, or whether BFV and Metro Exodus will need an update themselves. Or even whether 10-series cards will be able to implement genuine real-time ray tracing with any semblance of playability. 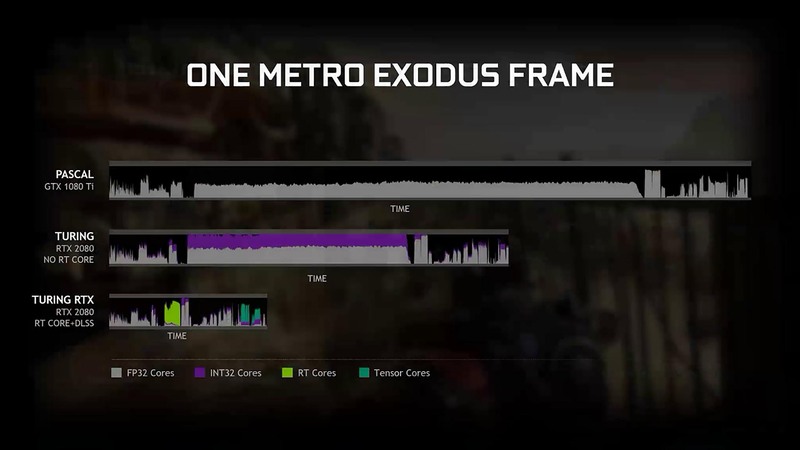 Nvidia’s RTX 2060 manages just 41 fps with RTX on in the Metro Exodus prescribed benchmark run at Ultra. And that’s with 30 RT cores – built for this one very specific workload in mind – offloading all the hard work from your GPU’s CUDA core. The Nvidia Turing architecture can operate concurrent floating point and integer operations, which should mitigate the delay in frame times due to the extra workload to some extent. Pascal, however, will struggle. One would expect that to mean Nvidia’s recently launched GTX 1660 Ti and GTX 1660 will fare better than their Pascal counterparts. Godspeed, GTX 1060… godspeed. The dedicated silicon on Nvidia’s RTX 20-series GPUs will remain the top silicon for the job. 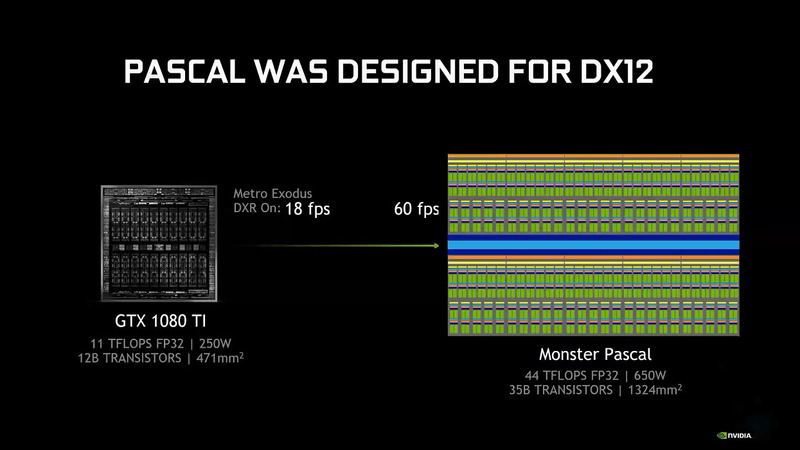 And the only capable of DLSS, which Nvidia says will remain an RTX 20-series feature alone. Ostensibly, extending ray tracing support beyond RTX graphics cards will entice more developers to implement the rendering techniques in-game – thus making cards that do it better more enticing to gamers in the process. 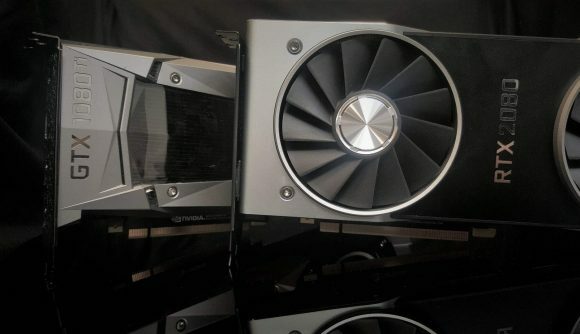 Nvidia has been struggling with “lower than expected” sales of certain high-end RTX graphics cards, and Jen-Hsun admitted this may be due to a lack of “demonstrations of RTX technology in actual games”. A byproduct of this could also mean AMD finally rolls up its sleeves and rolls out its own DirectX Raytracing-friendly driver package. It had been waiting to support real-time ray tracing only once “the consumer’s gonna see the benefit,” but that moment may arrive sooner than expected given the lacklustre response to Nvidia’s RTX launch. Multiple game engine developers and APIs are signed on to implement some degree of ray tracing support soon, with Unity and Unreal already onboard. While current implementations are limited to Microsoft’s DXR alone, Vulkan will soon implement ray tracing, too. This announcement comes shortly after Crytek announced CRYENGINE 5.5 would support an API and GPU manufacturer agnostic implementation of ray tracing. It’s certainly an odd choice for Nvidia following the company’s initial marketing material that specifically denounced their previous generation of graphics cards’ real-time ray tracing ability. While Nvidia’s RTX 2080 Ti manages 10 Giga rays-per-second, its GTX 1080 Ti predecessor only manages 1.1 Giga rays-per-second. 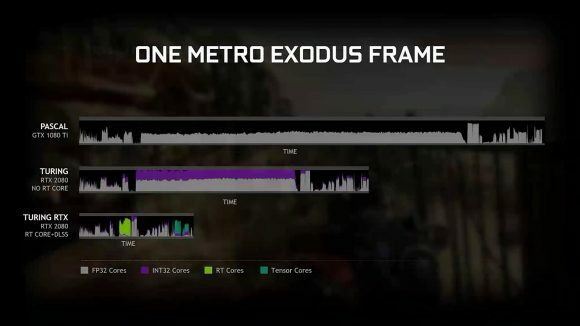 That equates to just 18fps in Metro Exodus with DXR turned on. To bump that number up to 60fps using the Pascal architecture, Nvidia has done some back-of-the-napkin maths to decide that an equivalent GPU would need to have a die size of 1,324mm2 and come packed with 35bn transistors. That mammoth GPU would also require 650W to run.